From Kim Strassel—one of the preeminent political columnists writing today and member of the Wall Street Journal editorial board—comes an insightful, alarming look at how the Left, once the champion of civil liberties, is today orchestrating a coordinated campaign to bully Americans out of free speech. 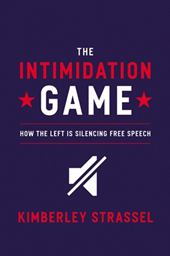 Excerpted from The Intimidation Game: How the Left Is Silencing Free Speech, by Kimberley Strassel, Grand Central Publishing, Copyright (c) Kimberley Strassel 2016. Cleta Mitchell was sitting in front of her computer in Pinehurst, North Carolina. Mitchell is one of Washington’s most hard-working conservative lawyers, so she spirits off to her home there any chance she gets, for a change of scenery. It was a Friday, May 10, 2013, and she was clearing off the last to-do items, looking forward to a quiet weekend. Instead, her laptop started pinging like mad, notes flooding in from Republican and Democratic colleagues alike. “They all said the same thing: ‘Cleta, did you see? Did you? Lerner admitted it! She admitted the targeting. She apologized. You weren’t nuts after all!’” recalls the lawyer in an amused voice. Mitchell certainly wasn’t surprised. She’d been ferrying—or rather attempting to ferry—several of her clients through the IRS’s tax-exempt program for three years. She’d known there was something rotten on Constitution Avenue since at least 2010, as her applications sat on hold. What did surprise her was Lerner’s description of events. 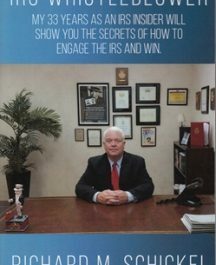 The head of the IRS’s Exempt Organizations unit assured the ABA audience that this was just a little low-level slipup. Some “line people in Cincinnati” had “centralized” and delayed tax-exempt applications in a way that was “wrong.” They also sent out some letters that “were far too broad,” asking questions that “weren’t really necessary.” Luckily, crowed Lerner, the Washington IRS office was on hand to make it better. All better. Lerner’s confession at that conference did contain one small truth. The IRS targeting scandal did indeed start in “Cincy”—as D.C. headquarters refers to that outpost. On a cold late February day in 2010, a Cincinnati screener named Jack Koester found himself focused on an application from a local Tea Party group. Now he had heard from Lerner herself that it was far worse than anyone could have guessed. It had been a vast and orchestrated targeting campaign. That made Jordan boil. Jordan’s a former NCAA wrestling champion and Division I wrestling coach, and still looks like one. He’s sat on the House Oversight Committee since he was first elected, and is intense about his duty to oversee the executive branch. And that’s also what “frosted” him about the Lerner admission. Jordan hadn’t known what to make of those first, February complaints, but he’d taken them seriously. Within a few weeks he’d called Lerner in front of his staff to answer questions. Jordan’s team peppered many more IRS officials with questions in the eighteen months that followed. Every bureaucrat, on every occasion, insisted that there was nothing funny going on. Hixon’s call set Jordan to remembering all of them. Democrats also shouldn’t have been surprised by the news. They’d inspired the targeting. They knew that a Democratic administration and Democratic Senate and Democratic House members had called on an IRS staffed with Democratic appointees to go after conservative groups. They now knew that the IRS had done just that. They knew the nation was outraged. They knew Republicans and the media were asking whether Obama had ordered this, whether we had a new Nixon-era level of political targeting going on. And they knew that this was no time for excuses or partisanship. So Democrats joined Republicans in expressing outrage. Obama labeled the IRS’s actions “inexcusable” and vowed to work “hand in hand” with Congress as it investigated the affair. The president was at pains to say he’d only learned about the targeting from “the same news reports” as the rest of America. White House press spokesman Jay Carney was at even greater pains to note that while the White House had been informed almost a month earlier that something was amiss at the IRS, the president had never been told. In the Senate, Max Baucus wasn’t the only Democrat who had written to demand that the IRS take action against (c)(4) groups, but who now claimed to be outraged that it had done so. There was Oregon’s Jeff Merkley, who insisted that “what the IRS did was wrong” and that those “responsible” must be “punished.” There was New Hampshire’s Jeanne Shaheen, who claimed that the IRS actions were “completely unacceptable.” And there was New York’s Chuck Schumer, who maintained that “heads should roll at the agency.” Democrats in red and purple states, many of them up for reelection in eighteen months, nearly climbed over each other to produce appropriate levels of outrage. And the administration at least put on the appearance of a swift response. Four days after the Lerner event, the Justice Department unveiled a criminal investigation. Five days after the event, the IRS announced that Miller was on his way out as acting commissioner. 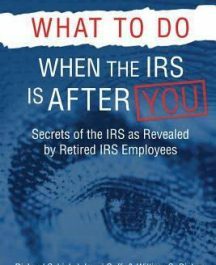 Six days after the event, Obama appointed Office of Management and Budget controller Danny Werfel to lead the IRS, promising he’d “restore confidence and trust.” Thirteen days after the event, Lerner was placed on administrative leave, having refused to testify before Congress or retire. And yet it was all a sham. Democrats created the environment that pressured the IRS to act. The Justice Department investigation never went anywhere. Werfel delayed the congressional probe, and instituted policies designed to further hamper nonprofit activity. Lerner was never fired, prosecuted, or even reprimanded. Instead, from the moment the scandal broke, the IRS and White House were spinning a yarn—setting a false narrative and minimizing the misdeeds. Just one week after Lerner’s confession, Washington Democratic representative Jim McDermott used his opening statement at a Ways and Means hearing to declare, “There is a difference between stupid mistakes and malicious mistakes,” and all that had happened at the IRS was that a “small group of people in the Cincinnati office screwed up.” Press Secretary Jay Carney ten days after the scandal broke marked it all down to “line employees at the IRS who improperly targeted conservative groups.” Of course, even this Democratic telling of the scandal should have caused alarm. The idea that some “rogue” agents in Cincinnati could silence the speech of tens of thousands of Americans—and nobody noticed—is a damning criticism in and of itself. This early slant would nonetheless prove remarkably effective. 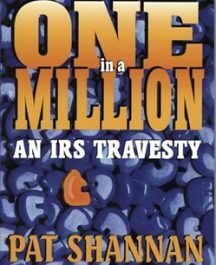 Millions of Americans would come to believe the following: that the United States has confusing tax-exempt laws (not true); that a flood of social-welfare and charitable applications overwhelmed that system (not true); that “low-level” and “rogue” agents had stepped out of bounds (not true); and that even liberal groups had been swept up in the harassment (definitely not true). It would take Jordan and other congressional investigators close to two years to unravel what had really happened. By then, not a lot of Americans were paying attention anymore.